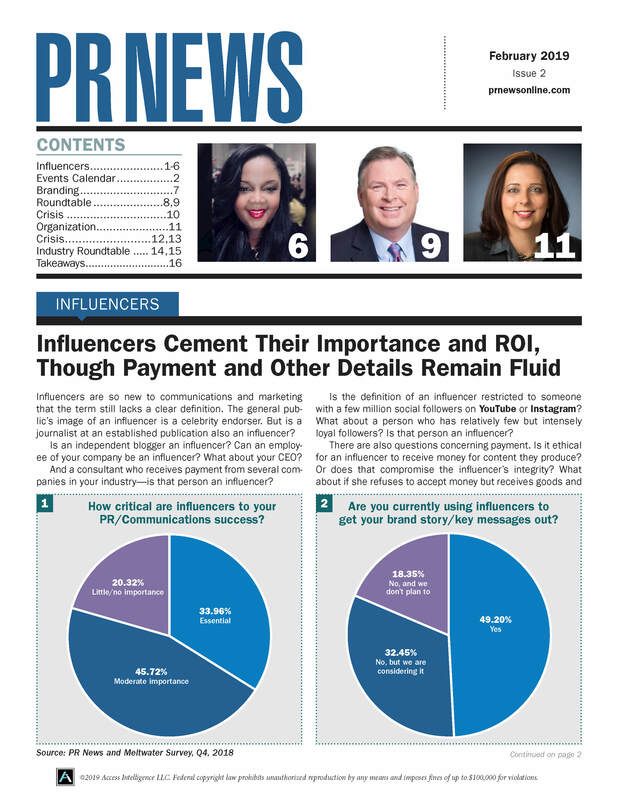 PR News inducted four new members of its PR Measurement Hall of Fame at its Measurement Conference April 20 at Washington, D.C.’s National Press Club. The Measurement Hall of Fame recognizes long-standing and continued efforts in advancing and championing PR measurement and research, and also in promoting the importance and awareness of key metrics within the PR community and within one’s own organization. The induction ceremony took place at the midpoint of the Measurement Conference, which was sponsored by BurrellesLuce, Business Wire, CARMA, Cision, Gorkana, Netvibes and Paine Publishing. More than 200 communications professionals attended the conference where measurement experts from Adobe, Time Warner Cable, Weber Shandwick, the U.S. Fish and Wildlife Service, Goodwill Industries International and other organizations led sessions on creating measurement dashboards, social media data and analytics, and integrated measurement, among other topics. Johna Burke, executive vice president, BurrellesLuce: Johna Burke has been one of PR’s most effective proselytizers for clear and concise measurement and media monitoring terminology. As she has said, “Clear terminology builds trust, fosters understanding, promotes prioritization and, not least, minimizes risk in your career as a communicator.” Burke has recently taken on a new prominent role in PR measurement—she and fellow Measurement Hall of Famer Angela Jeffrey are the co-chairs of the North American chapter for the International Association for the Measurement and Evaluation of Communication (AMEC). Marianne Eisenmann, head of research and analytics, inVentiv Health Public Relations Group: Since 2002, when Marianne Eisenmann took the helm at Echo Research as the managing director in the U.S., she has had a leadership role in PR measurement. 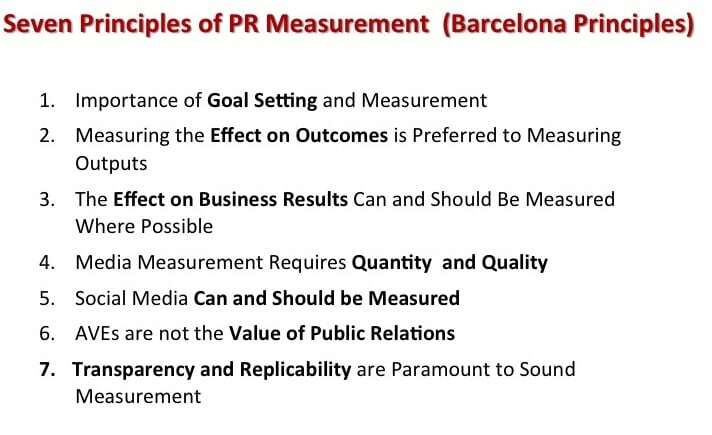 In 2003, Eisenmann was elected to the Measurement Commission of the Institute for Public Relations, addressing issues and best practices in PR measurement. In 2004, Eisenmann was invited to join the IPRA United Nations Department of Information Advisory Group providing counsel on measurement and metrics. Since then, together with her Measurement Commission colleagues, Eisenmann has been driving the movement toward standards in PR measurement. David Geddes, principal, Geddes Analytics: David Geddes is a recognized expert in research and analytics for marketing communications, public relations and branding. He is currently chair of the Institute for Public Relations Commission on Measurement and Evaluation. From 1995 to 2009, he was senior vice president and partner at Fleishman-Hillard, where he was a leader of the research group. His clients included major corporations including AT&T, Walmart, Visa, Imation, UNICEF, Avaya, Motorola, Caterpillar and Emerson. Previously, he worked at market research firm Elrick & Lavidge and at Sprint, and he was a researcher at the Centre National de le Recherche Scientifique in Toulouse, France. Allyson Hugley, president, measurement, analytics and insights, Weber Shandwick: Allyson Hugley is the co-chair of the Council of PR Firms’ measurement committee and the vice chair for the North American chapter of the International Association for the Measurement and Evaluation of Communications (AMEC). Prior to leading research and measurement practices at Weber Shandwick and MSLGROUP, Hugley was a research manager at Scholastic, the world’s largest publisher and distributor of children’s books. She also spent eight years with RoperASW (now GfK), where she was a senior research director/account executive in the Roper Public Affairs division. In this role, she managed consumer intelligence, corporate communications, message effectiveness and audience measurement research for clients across a variety of sectors including the Partnership for a Drug Free America, the Office of National Drug Control Policy (ONDCP), AARP, Sirius Satellite Radio, GE Medical Systems, P&G, AT&T, SHARP Electronics, MTV and Kodak.